Mr. Larry Dale Bauersachs, age 79 of Lebanon, TN, passed away December 23, 2017. Born in West Frankfort, IL, he was the son of the late Rudolph John Bauersachs and Alice Laberta Armstrong Bauersachs. He was saved at the age of seven and united with the Cutler Baptist Church and later First Baptist Church of Steeleville. He taught Sunday School and was very active in the church. He was a long- time Cub Scout Leader. He was a U.S. Army Veteran, serving as a medic. Mr. Bauersachs worked as a diesel mechanic most of his life. He was preceded in death by a son, David Bauersachs; brother, Dean Bauersachs. 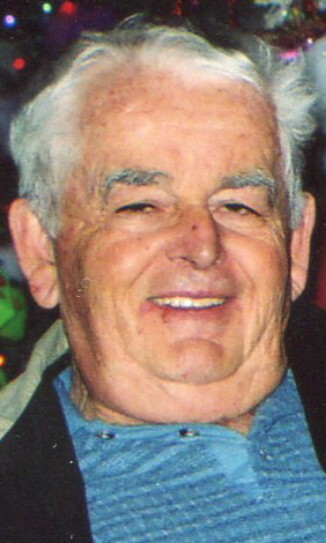 He is survived by his wife of fifty-nine years, Linda Hubler Bauersachs; two children: Michael Dale (Lisa) Bauersachs, Susan (Tracey) Hankins; daughter-in-law, Connie Bauersachs; three grandchildren: Matthew Dale Bauersachs, Justin Bauersachs, MacKenzie Bauersachs; two sisters: Linda Coleman, Melba Clendenin; sister-in-law, Verna Lee Mayer; several nieces and nephews. Funeral services will be held Friday, December 29, 2017, at 11 a.m. from the Wilson’s Funeral Home, Percy, IL, with Bro. Kevin Carrothers officiating. Interment with Military Honors – Cutler Cemetery. Pallbearers: Matthew and Justin Bauersachs, Roger and Kevin Clendenin, Bryan and Ronnie Coleman. Memorial contributions may be made to the Cutler Cemetery Fund. Visitation Wednesday, December 27, 2017, 4-7 p.m. at Ligon & Bobo Funeral Home, Lebanon, TN and Thursday, December 28, at Wilson’s Funeral Home 4-7 p.m. and one hour before funeral service. Mr Bauersachs will be missed. He always kept me entertained when he came to the office. I will forever cherish those memories and all my flashlights he gave me at the doctors office. Mrs Bauersachs, Susan, and the rest of the family yall are in my thoughts and prayers! If you need anything please let me know! I was surprised and saddened to hear of the loss of Larry. The first time I met him, I liked him immediately. He had a kind and gentle heart. Linda, to you and all the family, I send my love. I will be out of town Wednesday, and regret that I will not be able to see the family.